Achieves high effeciency milling of aluminum alloys (vf=20,000mm/min). 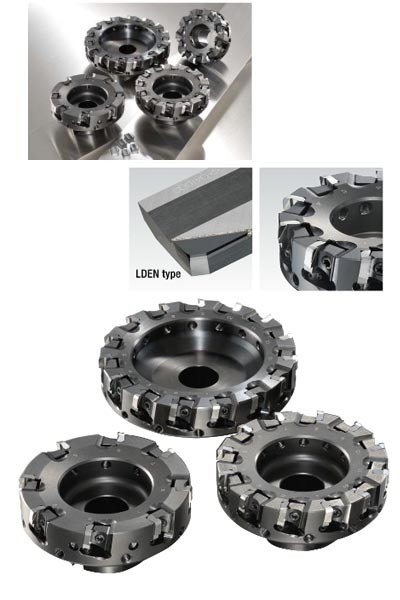 Reduces burrs by employing inserts with double-chamfered edges. The simple clamp mechanism enables easy run-out adjustment. See page 8 in product catalog for detail . 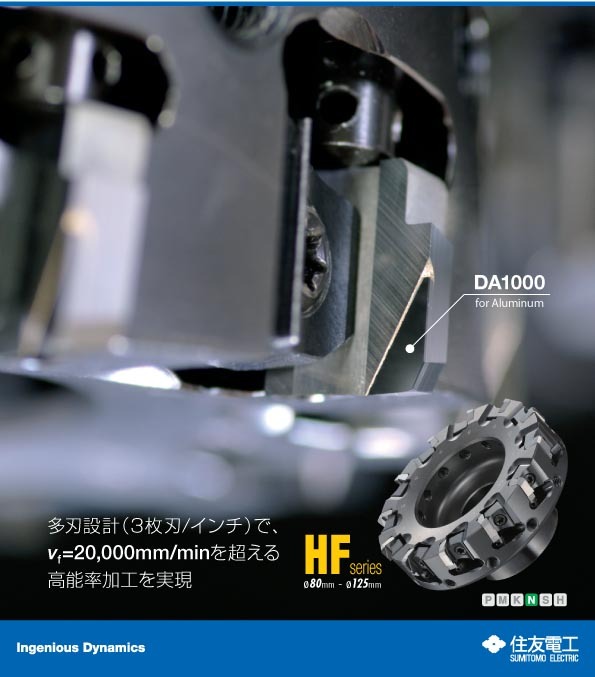 3 teeth/inch fine-pitched design to achieve high-efficiency machining. Easy fine adjustment run-out control of within 5mm. Anti-fly out mechanism included for safety considerations. Steel body, cutters of up to ?125mm still clear the weight restrictions on a BT30 machine.